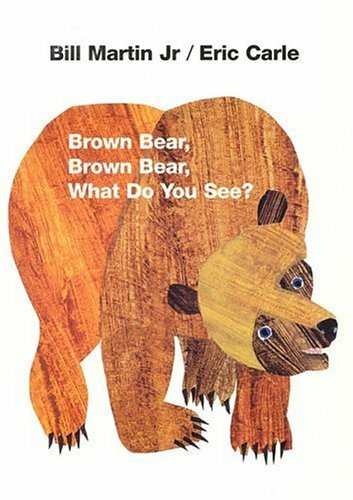 Rare, out of print United Kingdom edition of Brown Bear, Brown Bear, What Do You See? first published in 1984. 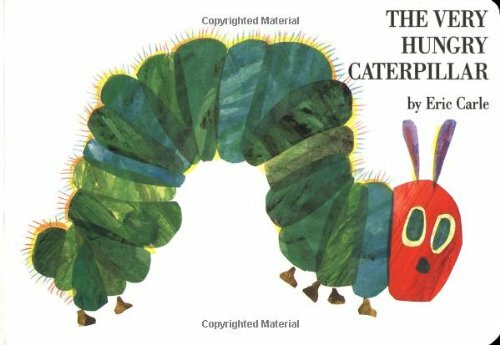 This 1992 paperback is 1st printing and features a monkey instead of a teacher, as found in the US editions, as well as rare, earlier editions of Eric Carle's collage illustrations. Colour and animals are shown (with a few surprises) together with a simple rhyming text, which contains some repetitive phrases. Condition: Some slight yellowing due to age. While introducing children to the concepts of colors and counting by twos, a vibrant rainbow gradually appears when children turn the pages of this book. Full color. 14 giant page boards illustrating the pages of Eric Carle's The Very Hungry Caterpillar in the ancient Kamishibai storytelling style. Text in English and Japanese, with storytelling instructions on the back of each page board. Keywords are highlighted for language learning. Audio CD included. Brightly illustrated boards also perfect for hanging as wall art in homes and classrooms. 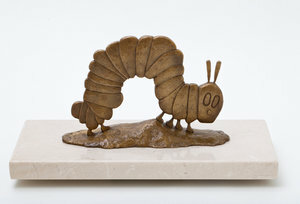 A commemorative sculpture to benefit The Eric Carle Museum of Picture Book Art and honor its 10th Anniversary. Inspired by the work of Museum co-founder Eric Carle and created by renowned artist Nancy Schön (creator of the Make Way for Ducklings sculpture in Boston Public Garden among many others). Sculpture is mounted on bronze with a Crème Marfil marble base. 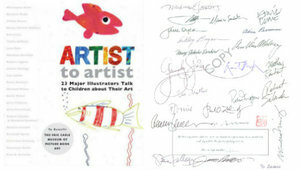 Dimensions, including the base is 5.25" H x 11" L x 5" W. Each sculpture is signed by the artist. Every purchase includes a private tour of Ms. Schön's studio in Newton, MA. All proceeds directly benefit The Carle.